ETC’s Design-Build process offers you the most efficient and cost-effect way to complete your small to medium-sized health care & life science projects – from concept to construction completion. 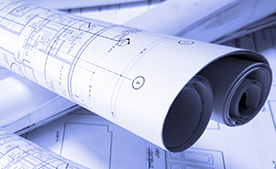 ETC’s Design-Build process integrates budgeting, design, construction and full accountability for your project in one efficient point of contact: ETC. Sourcing design and construction with one expert vendor gives you the highest assurance of a project that meets your functional requirements, is practical to build and avoids costly change orders. Rather than having to manage multiple consultants and contractors, with ETC you have just one entity to deal with, giving you easier access to the entire team working on your project. Design revisions, project feedback, budgeting, permitting, construction issues, change orders and billing are all handled more quickly and efficiently – allowing you to reduce costs while having more flexibility throughout your project. Respect for your health care and life science environment – all of ETC’s tradesmen are highly trained and experienced working in an environment where operations are ongoing, with specialization in infection control, OSHPD requirements, HIPAA, interim life safety measures and OSHA. Master planning and feasibility studies – at ETC we understand that even the smallest of projects can be an important piece of a long-range plan, impacting your organization’s cash flow and return on investment. Tap ETC’s expertise to help with creating and updating master plans and working with financial analysts to create investment models. Comprehensive project scoping – through interviews of all of your key stakeholders and extensive research, ETC assembles all of the project data at the very start of the project for approval by your decision makers. Having complete data at the onset enables more accurate initial and subsequent estimates, more productive design and fewer disruptions during the construction process due to late-term scope changes. 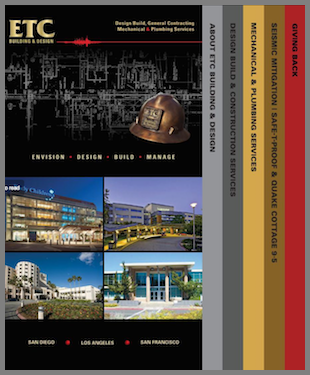 ETC’s Design-Build process has consistently delivered the highest quality final product within the cost and schedule parameters established at the conceptual stage to clients throughout California. Whether it’s replacing a door or performing a complex multi-phased project in a critical care space, ETC has the knowledge, resources and capability to perform the work to the highest quality standards.